I'm sorry I didn't pop in to say hello. I am 6 months pregnant today and my little world seems to be a roller coaster of emotions. I gifted myself this little Emily Martin note card set last week because I desperately need to be reminded that I am the bee's knees right now (I also love how she styled this photograph, it makes me happy). At the beginning of this lucky year, 2011, I declared it to be my Year Of The Fire Engine. I laugh about that now and joke that my Year Of The Fire Engine got me pregnant. Truly though, I've been going from extreme highs to extreme lows over the weekend. Most of my extreme highs involve my husband and Bono Baby. I will suddenly feel overwhelmingly blessed for all that I have. I see my Daniel in a whole new light and I fall in love with him all over again every 30 minutes, it seems. Bono Baby gets prettier every day. I am amazed by how generous and loving my family and friends are to my little family. Then there are my low moments were I feel like the biggest slug. I go into these long self loathing fits where I am frustrated with just about everything about myself. Why do we all do that to ourselves? I need to find a way to feel like a Fire Engine even though I am 6 months into making a Baby Coco. I'm not sure how to make those low moments go away right now but just sitting down and writing this to you is helping me. I am going to go wash my hair (with the fancy shampoo) and attempt to paint my toenails. I'm even going to wear my fancy silk robe around the house for the evening. p.s. 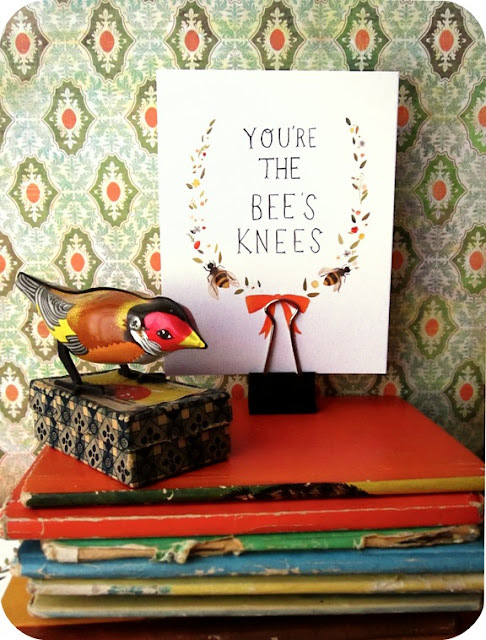 I want you all to know that I truly believe that you are the bee's knees. You are Fire Engines always. You are amazing and inspire me every day. Don't feel sad for having sad moments. Everyone has them. Your high moments are the true you shining above everything else. You are going through one of the most amazing things right now (making baby Coco!) and that alone is so "fire engine" of you. I adore you!! I think more people than you might realize go through the very same thing at some point. It sounds like you're inside my head. Then you add in pregnancy (and postpartum) hormones, and whoa! Just hang in there, take care of yourself, and know that you are amazing and gorgeous, and that your body is doing a really beautiful, mind-blowing thing right now, so there are bound to be some ups and downs. Oh I agree about Bono Baby! More gorgeous every moment! He's such a little love bug! It's a hard slog this pregnancy thing. It is of utmost importance to be kind to yourself. Spoiling is exactly what the dr. ordered. Use that fancy shampoo, wear your fancy pants, manicures & pedicures, your fave foods and cuddly blankets. Our bodies are working over time and so are our minds and hearts. We NEED sluggish days! Yesterday I didn't do anything! Seriously. I never left my chair. I felt too tired and too dizzy. And it's ok because Baby Woo (& Coco)is doubling in size over the next couple of weeks and she's getting all of the good stuff to grow so big from me & so it's no wonder I'm pooped! Not long now til you will be cuddling Baby Coco! He'll be here so soon! You'd never be as hard on anyone else as you are on yourself Kitty. Please be kind to you, for us. Girlfriend, hormones are for REAL. And you are riding them. It's okay to ride them, I say. And, if I can say so, being on the other side of being pregnant (though not the way I imagined or hoped), I wish, wishwishwish I had been nicer to myself and let myself feel lousy and been nicer to me, so I'm glad, so glad that it sounds like you're doing that. So excited for you. I think the magic is just beginning. That love for Dan and Baby Bono is going to get BIG, even bigger than it already is. Hang in there. Everything is going to be amazing.